Microbial ecology has been recognized as useful in archaeological studies. At Archaic Monte Iato in Western Sicily, a native (indigenous) building was discovered. The objective of this study was the first examination of soil microbial communities related to this building. Soil samples were collected from archaeological layers at a ritual deposit (food waste disposal) in the main room and above the fireplace in the annex. 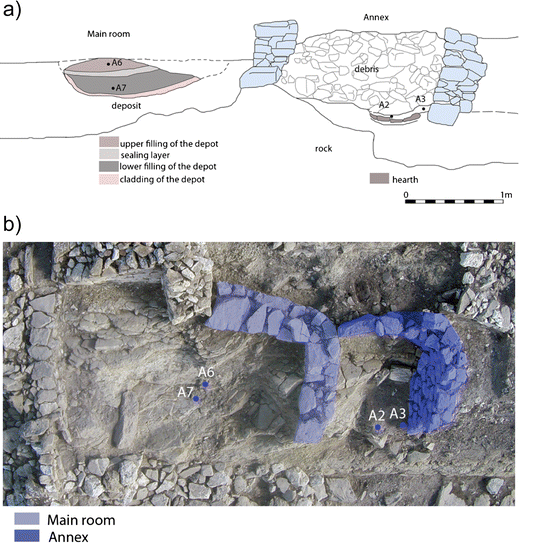 (…) Microbial community structures in the fireplace were similar and could be distinguished from those in the two deposit layers, which had different microbial communities. Our data confirmed our hypothesis that human consumption habits left traces on microbiota in the archaeological evidence; therefore, microbiological residues as part of the so-called ecofacts are, like artifacts, key indicators of consumer behavior in the past. The gelatin-silver halide black and white prints represent an enormous photography heritage with a great value. 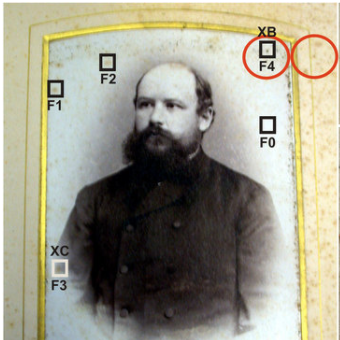 Unaesthetic phenomena, the foxing stains that are caused by microbial growth on surface, have been described in stamps, drawings, books, and tissues but, until now, scarcely for photographic materials. In this study, a combination of various techniques, including culture-dependent and culture-independent approaches (RNA and DNA analysis), scanning electron microscopy-energy dispersive spectroscopy (SEM-EDS) and μ-Raman spectroscopy supported by X-ray fluorescence analysis (XRF), permitted to describe the microbial contamination dynamics of foxing stains present on the surface of two gelatin-silver halide photographs. 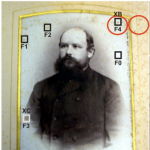 The investigation provided also information on the effects of microbial activity on the materials’ chemistry of the two prints. The action of microbial community resulted locally in either (a) formation of mixed aluminum-iron-potassium phosphate compounds that could be attributed to the hydrolytic activity of bacteria, (b) leaching of barite, (c) precipitation of a mixture of oxides, and (d) a change in the barium sulfate chemical structures. Red foxes (Vulpes vulpes) are the most abundant carnivore species in the Northern Hemisphere. Since their populations are well established in peri-urban and urban areas, they represent a potential reservoir of viruses that transmit from wildlife to humans or domestic animals. In this study, we evaluated the faecal virome of juvenile and adult foxes from peri-urban areas in central Croatia. The dominating mammalian viruses were fox picobirnavirus and parvovirus. The highest number of viral reads (N = 1412) was attributed to a new fox circovirus and complete viral genome was de novo assembled from the high-throughput sequencing data. 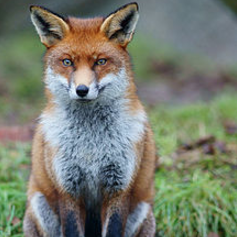 Fox circovirus is highly similar to dog circoviruses identified in diseased dogs in USA and Italy, and to a recently discovered circovirus of foxes with neurologic disease from the United Kingdom. Our fox picobirnavirus was more closely related to the porcine and human picobirnaviruses than to known fox picobirnaviruses. 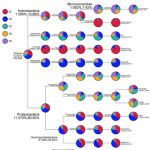 Figure 5: The relative abundance of each class based on 16S rDNA sequence analysis. In this study, we investigated the influence of heavy metals (HM) on total soil bacterial population and its diversity pattern from 10 km distance of a Zinc smelter in Feng County, Qinling Mountain, China. We characterized and identified the bacterial community in a HM polluted soil using 16S rDNA technology. 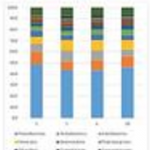 Out results indicated that the maximum soil HM concentration and the minimum bacterial population were observed in S2 soil, whereas bacterial diversity raised with the sampling distance increased. The bacterial communities were dominated by the phyla Proteobacteria, Acidobacteria and Actinobacteria in cornfield soils, except Fimicutes phylum which dominated in hilly area soil. The soil CEC, humic acid (HA)/fulvic acid (FA) and microbial OTUs increased with the sampling distance increased. 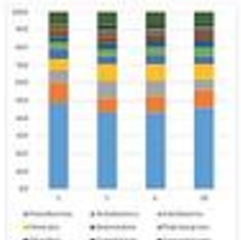 Shewanella, Halomonas and Escherichia genera were highly tolerant to HM stress in both cultivated and non-cultivated soil. Finally, we found a consistent correlation of bacterial diversity with total HM and SOM along the sampling distance surrounding the zinc smelter, which could provide a new insight into the bacterial community-assisted and phytoremediation of HM contaminated soils.